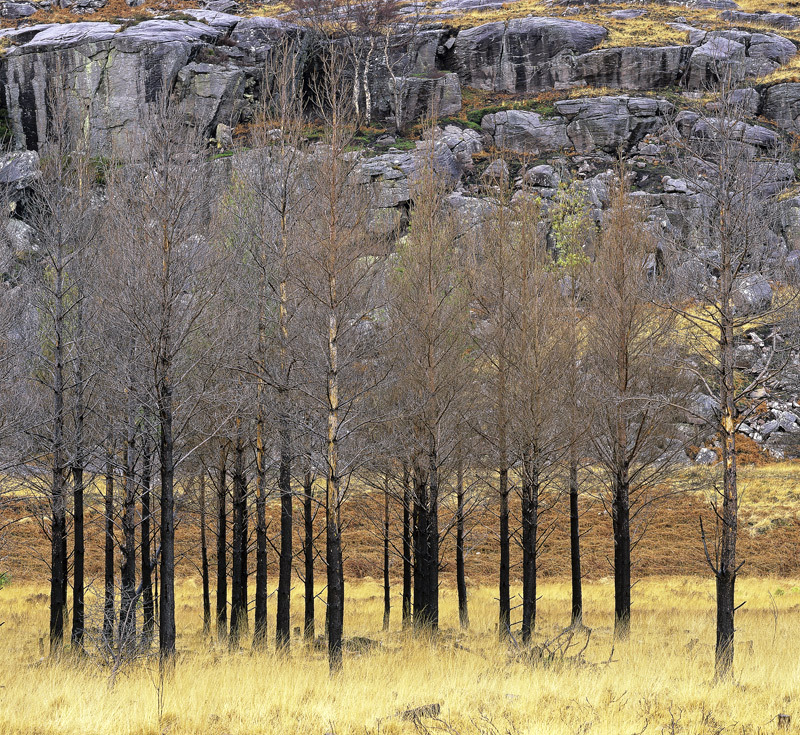 This little stand of pines and mixed birches was the subject of a flash fire which stripped the grasses and scorched the trunks without actually killing the trees themselves. Since then the grasses have recovered the seeds of the grasses undergoing rapid germination in the heat and grew back to form a vibrant yellow mat beneath the charred trunks. It is the juxtaposition of these trunks with the grasses that I find beguiling.